Trusted by thousands of cat owners around the world Cats often go a-wandering, and can get themselves into mischief all too easily. They may not travel far (cats are very territorial), but they can get trapped in sheds or garages, stuck up trees, or chased by dogs and become disorientated. Loc8tor Pet helps you protect your cat, and reduces the stress of being a pet parent. 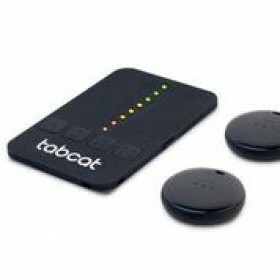 Loc8tor Pet is the smallest and most accurate cat tracker of its type available anywhere in the world. Tens of thousands of pet owners trust it to locate their adventurous cats and curious kittens, whether they've got lost, gone for a wander, or even just when it's time to call them in for dinner. It's the most affordable tracker too, with a single, one-off payment that will give you years of use and a battery that lasts up to seven months at a time. It comes with the best directional handset of its kind which uses dual directional technology – audio and visual cues to guide you and show you exactly which way to walk. Loc8tor Pet - The World's Best-Selling Cat Finder Find your cat - fast Our RF-based technology offers much greater range than 'keyring finders' and much greater accuracy than GPS trackers. Simply attach the lightweight (under 5 grams) tag to your cat's collar and you can quickly locate it using the credit card-sized slimline handset. A splash-proof cover (supplied) protects it from the elements and from any knocks, bumps or scratches. Loc8tor can track your cat to within 1 inch (2.5cm) – much more accurate than any GPS tracker. Activate the handset and it sounds a series of beeps, with colour-coded lights to show you when you're getting close – red for far away, amber for closer, and green for really close. The closer you get, the faster the beeps sound and the lights flash. With a range of up to 400ft (122m) in clear line of sight you can easily find your cat anywhere in the house, neighbouring gardens or even further afield simply by pressing the call button, and following the beeps and lights until you're reunited. No need to worry, no need to wait. Loc8tor Pet can guide you straight to your cat or kitten, with 1 inch accuracy so you can find them even in their sneakiest hidey holes.